Shuja Nawaz, director of the Atlantic Council’s South Asia Center, spoke with Al Jazeera English‘s Riz Khan about the role of Pakistan’s Inter-Services Intelligence and to discuss the question: is the ISI safeguarding Pakistani interests in a volatile region, or destabilising the subcontinent by pushing its own agenda? SHUJA NAWAZ: Good afternoon. I’m Shuja Nawaz. I’m the director of the South Asia Center and on behalf of the Atlantic Council and President Fred Kempe, I’d like to welcome all of you to this very special event. We’re extremely grateful to Ambassador Farah Pandith, who is the U.S. Special Representative to Muslim Communities, that she agreed to take time from a very busy schedule to come here and to have a conversation with us. And so we’re really looking forward to this event. We have been for some time. But she has been so busy. She’s been on a, kind of, a whirlwind tour of the globe ever since she was given this assignment. I’m just going to say a few words about her and then we will ask her to speak, after which we will begin the conversation amongst ourselves and with the audience and I hope – and I’m sure that we will have a lot of questions. As I said, Ambassador Pandith was appointed last year in June. She is responsible for executing the vision of Secretary Clinton for engagement with Muslims around the world on a people-to-people and organizational level. And she reports directly to the secretary of state. She has, before her appointment, been a senior advisor to the assistant secretary of state for European and Eurasian Affairs and in that role, she interacted a lot with Muslim communities in Europe, where she was responsible for policy integration, oversight for integration, democracy and Islam in the Bureau of European and Eurasian Affairs. But, you know, she comes to us with a rich background of experience and, of course, having come originally from India, she knows whereof that she speaks. So we’re delighted to have her here. As I said, she will speak briefly, probably for about 20 minutes, after which we will begin our conversation. And we look forward to your participation in that. Ambassador Pandith? FARAH PANDITH: Okay. Good afternoon, everyone. Thank you very much for coming on a rainy afternoon. I want to first apologize for sounding like a frog. I have just come back from Mauritania and Mali where I had an exquisite visit meeting with civil society in both of those countries and had a chance to get outside of the capital cities. So I was in both Timbuktu and Chinguetti and we can talk a little bit about that in the Q&A. Shuja, I just want to thank you so much for your very warm hospitality and your invitation to come speak to the Atlantic Council today. This has been a long time in coming. I know we’ve been trying to do this for months. What I thought I would do today was spend a few minutes with you talking about the role of the special representative to Muslim communities, why it was established for the first time in American history, what the secretary’s vision for engagement is and what I’ve been doing since I was sworn in. And then, I think, we’re going to have a nice conversation and open it for Q&A. As all of you know, the president gave a very important speech in Cairo, in June of last year, in which he talked about his vision for engagement around the world – a vision that is based on mutual interest and mutual respect. That is the foundation from which our country is engaging all around the world. And a couple of weeks after that very important speech, Secretary Clinton asked me to be the special representative to Muslim communities around the world because she wanted us to focus on partnership building over the long term, to find ways in which we, as the American government, could be the convener, the facilitator and the intellectual partner with civil society on the ground. Where we could find ways through our embassies to go deep and go wide, to get to know people we don’t usually know, to offer opportunities for dialogue, find opportunities to share ideas and to see where the United States can actually add value in executing some of our strength in moving those ideas forward and seeding them around the world. This is a global effort. The diversity of Islam is unbelievably important for this administration. So a Muslim in Sao Paulo and a Muslim in Jakarta, a Muslim in Copenhagen and a Muslim in Chinguetti are equally important to us. How we are executing that engagement means that our embassies in every part of the world are thinking about ways that we can build partnership, that we can open up dialogue and actually effect change on the ground. Secretary Clinton said something very important in my swearing-in last September. She said 1.4 billion people on the planet are Muslims. That’s one-fourth of the world’s population. Of course we have to find ways to build partnerships with one-fourth of the world’s population and find new ways to interact. The frame from which we’re executing, as I said, is mutual interest and mutual respect. But the tools that we are using are 21st century statecraft, to use her terminology. So we’re thinking about out-of-the-box kinds of ways to connect with people. We’re thinking about new media in new ways. We’re focusing very specifically in my role on the next generation: 45 percent of the world’s population is under the age of 30. And in many Muslim-majority countries and Muslim communities around the world, that demographic is even higher. That percentage is really quite robust. It’s either 70 or 80 percent. What are doing as Americans to get to know that next generation? The issues that are affecting youth that are Muslim in the world today are very different from the generations before them. So how are we interfacing? Are we listening in new ways? Are we thinking about ways that we can add value to the issues that are going on for them? So we’re very focused on that piece. The second piece, in terms of how we execute and what we can do, is to build networks of like-minded thinkers around the world. This is the Facebook generation. This is a generation that already knows how to network and is comfortable with connecting with people they don’t necessarily know. What we can do, through the lens of the United States government, is to connect the idea through the person in one part of the world with a person in another that are doing the same things and can learn from each other. In many ways, this is talent scouting. This is finding people that are doing incredible things who often do not have a microphone to be able to talk about what they’re doing. This is finding ways to elevate their stories and execute their vision by partnering them with foundations, with private sector, with other individuals that are doing the same thing. It’s the United States government as acting as this connector and understanding that this partnership that we are building is over the long term. This is not an isolated effort that’s happening for the next couple of years and then we don’t really care what happens. The way in which we’re thinking about these things are organic. They’re very, very real. They take time to develop and we’re not selling this by selling the American flag and waving it but rather giving the strength to the individual that has the idea and asking what we can do to help that idea go forward, not necessarily promoting it as something that the U.S. government is doing because we want to be able to partner openly – we’re transparent – but really the effective change that happens on the ground is through NGOs. It’s through foundations. It’s through individuals that are doing things. What’s happening at a local level absolutely matters. The way our embassies are thinking about the localities absolutely matters. So that when we look at a country, it is not, all of this country is doing it this way. It’s understanding the nuances within those countries. What’s happening in Barcelona is not the same thing that’s happening in Madrid. The Muslim communities in both of those places are dealing with things in different ways. How are we thinking about how to partner with civil society in those different ways? Some of the big needle issues that we’re looking at is this issue of how do we engage the private sector? And I’ve done a lot of work with connecting that idea on the ground. And so I am going to the private sector with challenges for them to be more creative in the way that they’re interfacing with civil society because oftentimes, many times, government shouldn’t have a role in the ideas that are taking place because it doesn’t become credible. It’s better that a company is actually able to invest in that idea and help it get off the ground. Similarly, we’re spending a lot of time in helping foundations think about how to look at engagement differently. The money that is spent on how they’re interfacing on the issue of Muslim engagement isn’t about a conference that you put together to say that we’ve pulled people together, we’ve shared ideas, we did it, we walked away. But rather, what is the long-term investment on the ideas that come out of those conference (sic)? Are you spending time and actually becoming, sort of, venture capitalists in investing in those ideas and moving them forward? This is not normal. This is not the way the U.S. government has often done business. We’ve turned the triangle on its head. It is not just government-to-government interaction but it’s taking the ideas from civil society and moving them up the ladder. Now, I have spent the last few months, as Shuja said, traveling quite a bit. I started – my first trip was actually to Nigeria. And it was very important for me to talk about the diversity of Islam by demonstrating that we’re going to different parts of the world. And so Africa was the first place that I chose to go. I have actually, since that time, been to every region of the globe and met with thousands of young people around the world. The issues that I’m seeing on the ground are extremely diverse. The challenges that they are presenting to me, the issues that they want to work with are very diverse. But uniformly, across the board, they’re delighted that we are engaging with civil society. They are very interested in the fact that the president has actually made Muslim engagement a priority. That they’re delighted that we’re having a chance to – even though we can agree to disagree – that we’ve opened the doors for dialogue in ways that we haven’t before. In addition to that, the one takeaway that I will definitely say to you is that there’s a lot of opportunity in terms of what we are seeing on the ground with young people in terms of ideas that they want to execute. And it is not just for government to be able to take that information and do nothing with it. It’s to take that information and to seed it outward. And so whether it’s the private sector or it’s foundations or, in fact, it’s using opportunities like this to push the envelope and to say, why aren’t we doing more in this, this and this area? We’re using that opportunity as well. So that’s a little bit about why we’ve established this office, what we’re doing on the external. Let me just spend a few minutes – since this is Washington, D.C. – on the internal because part of my job is also to socialize the way in which we’re executing this internally, here, at the Department of State. We are working very hard within the department to cross-pollinate ideas so that they are not stove-piped within regional bureaus. So that everything that happens in Africa is separated from what happens in Europe, which is separated then what happens in another part of the building because as we know and we learned, unfortunately, through the Danish cartoon crisis, something that happens in Copenhagen affects a life in Kabul. How are we as the Department of State understanding the impact that is happening in different communities? How are we socializing our effort at the Department of State so that we’re working together on a team? There’s a taskforce of every regional bureau and functional bureaus that works with my office to execute this vision, to think creatively about how we want to do things, to make sure the next generation of officers are thinking about Muslim engagement more creatively, that you don’t just check a box and say we engage with Muslims because we had an Iftar dinner at our embassy. But rather, what are we doing over the long term? And that importantly, as respectfully as I can say to the region of the world that is the Middle East, that all things Muslim are not just the Middle East. There are more Muslims that live outside of it than in it. And what young kids are telling me around the world is they want to be heard. What are we doing to hear them? What are we doing to understand issues that they are facing? And so a lot of what we are doing with our embassies is to use that opportunity to take what we hear from young people and move it to policymakers as well so that they can understand what is actually taking place from the ground up. So I think I’ve spoken enough to you. I’d like to speak with you. And if I could sit down and we can have a conversation? All right. Thank you so much. MR. NAWAZ: Thank you, Ambassador. And I think you’ve laid out the issues very clearly and very well. Let me ask you, first of all, the basic question that arises – why this focus on Islam? Why not on other religions across the world? MS. PANDITH: You know, this is a question that I get asked a lot. And I think it’s an important one to answer very clearly. We are engaging with many different faith communities. It is not just Islam that we are engaging with. The president made it very clear that interfaith, for example, is something that he is looking at and is working with. There is an interfaith office at the White House. There’s a commission – interfaith commission at the White House that in fact has just issued a report – and if anybody has not seen it, I urge you to take a look at – about what we can do to talk about the issues of mutual interest and mutual respect, to talk about the importance of pluralism and diversity. So we do talk to many different kinds of faith groups. Right now, at this moment in time in the earth’s history, there is a need to engage with one-fourth of the world’s population. And it is very clear that those bridges of dialogue in some cases have been broken, in other places have not even been built. And I think it’s very important that we have a chance to have that dialogue, to hear what’s going on. Here in Washington, it’s very easy to think we understand what’s happening out there. Unless you are talking to people face-to-face, unless you’re opening up the opportunity to agree to disagree, to share ideas, to offer your perspective, you aren’t having a discourse; you’re having a one-way conversation. What we’re trying to do is have a discourse. What we’re trying to do is to engage not because we’re forcing our opinion on someone, but rather we want to hear what’s happening in the field. We want to see where we can add value. There are many cases, Shuja, in which I go out into the field and what I’m hearing doesn’t make sense to me because I’m thinking, well, wow, we aren’t explaining something a particular way or there’s something we definitely need to do differently. And that is passed forward to Washington so changes can be made on the policy level in terms of how are – not in every single case, but you only can know what is happening by having a conversation. So we’re trying to do that in many different ways. And I think, from my perspective, having gone to now 21 countries since October, it has been universally popular that we are actually trying to engage in new ways. And the respect that I have heard for the president on his vision that he laid out in Cairo, the idea that he has talked about the importance of Islam in America, the idea that he has asked his entire interagency to think about new ways to build partnerships. I can only speak from the State Department perspective because that’s where I work and what the secretary has asked me to do. But you will find if you go to USAID’s work – and that’s part of State – but if you go to Commerce or Treasury or any other component of the U.S. government that is working overseas, they too are engaging in new ways and offering new opportunities to build those kinds of partnerships. MR. NAWAZ: The first impression one gets is that we are trying to engage with Muslims in Muslim-majority countries, but I guess that’s not exactly right. And for your previous incarnation when you were in Europe, you have a lot of experience in working with Muslim communities that are minority communities in predominantly Christian or other religious countries. What’s the difference that you see between, say, Europe and Asia, for instance? MS. PANDITH: Well, I think, first of all, it’s very important to remember that we have to look at Muslims not as a bloc, but that we’re looking at the nuances of what’s happening with the communities around the world. And as you talk about Muslim-majority countries, very significant countries exist but populations that are really large also occur in non-majority states. India is a perfect example of that. You have 160 million Muslims in India. They’re as minorities. So you have to engage there also. What’s happening in Western Europe is pretty particular and very important for a global conversation. There are 30 million Muslims in Western Europe. And it’s incredibly diverse in terms of the experiences of these generations. You have first generations in Milan, for example, and fourth generations in the U.K. You have second generations in Barcelona and second generations in Norway, both of whom who are having very different experiences. And these Muslims are coming into environments that are very different. Some of the countries in Europe recognize the religion of Islam in terms of the way in which they’re paying taxes. Some allow religious schools. Some allow the hijab; some don’t. I mean, there’s a lot of diversity that’s happening within Europe. What are the issues that are affecting them? The voices that take place – what is taking place in Europe is actually part of the global conversation of what’s happening around the world. You’d be surprised how many Muslims in the most remote places I’ve been know exactly what’s happening to Muslims in Europe and by that same token, issues that are happening in our press in America. They want to know what is taking place. And the cross-pollination of experiences across the planet are very, very important for all of us to understand so that it is – we can actually make educated decisions as to how we can think about initiatives, what we can be doing, what would add value. MR. NAWAZ: I remember in an earlier conversation, you had talked – you were very excited about your trip to Pakistan. MR. NAWAZ: And one of your interactions or various interactions that you had with the bloggers, the youth there. Can you share with us what startled you or surprised you about those encounters and that exchange? MS. PANDITH: Well, let me tell you a little bit about the bloggers in general. And in every country that I go to, I hope to engage with young bloggers because they have their finger on the pulse of something that’s very different. It’s not the mainstream newspapers. There’s a texture to it that’s very different. And so whether I’m in Pakistan or I’m in another part of the world, I always try to do that and, in fact, I did that in Africa when I was just, just came back from this trip. In Pakistan, it was really special for me because we had an opportunity to meet with 35 bloggers who were from all different persuasions, different sects, different political views. All young, they were all pretty young, but all very energetic and passionate about what was happening in their country. And all very eager to increase the temperature, in terms of how we can increase dialogue. And, you know, they found this roundtable a great opportunity to do that because they could ask less formal questions. They could get into details that were a little bit different. And they were really interested in the tools of engagement that we’re going to use. I mean, what they really said to me was that they were very keen on the issue of, for example, entrepreneurship, what the United States was doing to promote the idea that one person can make a difference. They were really interested in the fact that we are looking at the youth demographic and trying to get a sense of how we can engage with young people. They were really interested in finding ways in which there could be exchange of ideas between Americans and Pakistanis, in new ways. But they were also very interested in making sure that we understood that Pakistan was a very rich and very vibrant, old culture and that there were a lot of things that we never see in the press about Pakistan. And they wanted to be able to tell that story, not just about the history but about how these young people were effecting change on the ground, that all things weren’t, quote-unquote, bad. But rather, some amazing things were happening in the country and they wanted to find ways that they could actually tell that story going forward. MR. NAWAZ: Thank you. I don’t want to take over this conversation. We have people here. Could I just request, when you’re recognized, if you could please identify yourself. Let’s start at the back. The microphone is on its way. Q: Thank you. Sebastian Gorka, National Defense University, Atlantic Council Strategic Advisors Group. Madame Ambassador, in what you’re doing, you are in a competition because you’re not the only people out there engaging. Whether it’s al-Qaida engaging young Yemenis or Somalis or whether it’s an associated movement engaging a young Nigerian to blow himself up on a plane, you’re not alone. The pitch is full of people trying to engage. You’ve talked about the nice stuff, the positive stuff. Could you tell us about what you’re doing to undermine the bad guys and their engagement? Whether you want to call them Salafists, fundamentalists, whatever, they’re trying to do the same things you’re trying to do. So are we attacking their engagement? MS. PANDITH: You know, you’re raising an incredibly important question. And everything that I see on the ground isn’t rosy, so I appreciate you asking that question. What you hear from Muslims is that they want to be defined differently. They’re very – I mean, this is obvious stuff, but I’m leading to an answer here – that they are clearly unhappy about the fact that the world press is defining Islam and terrorism in the same sentence and in the same way. There isn’t a country I’ve been to, there’s not a generation I’ve talked to, men and women, young and old, different professions have all said: What more can we do, as a planet, to be able to stop putting those two words together? So that’s on everybody’s mind. But similarly, sir, there’s something very important. The United States government can amplify and help credible, mainstream ideas by moving them forward. We can act as that convener and the facilitator. You cannot undermine the importance of the locality, however. So what we’re doing is we’re taking a look at, what are ideas that are happening on the ground that can affect a particular community? Some of the people I meet with are very interested in, actually, that particular issue of pushing back against the violent ideology that’s seeping in. The drumbeat of that piece is across the board, too, whether I’m in Kazakhstan or I’m in Italy or I’m in India or I’m in Mauritania. Imams, students, professors, NGOs, civic activists, bloggers, entrepreneurs – no matter who I meet with – all talk about the fact that this ideology is coming into their very old communities. And it’s a new kind of ideology that does not belong there. But they’re also equally keen on pushing this back in ways that make sense organically. And the tools that you see on the ground are really diverse. For example, many people are using debate – actually, religious debate – to be able to do that. The U.S. government isn’t doing that, but you see these young people on the ground doing it. You see the use of hip-hop. You see the use of poetry. You see the use of sports. You see the use of different tools on the ground to make sure that young people are hearing a different narrative, that they understand that they don’t need to be isolated. But you’re correct when you say that there is a very loud narrative that is out on the planet right now that is competing with all the other things – not just our country and other countries around the world are trying to do, but their own communities themselves. And there’s more that has to be done from each sector, not just the public sector, in helping to amplify those voices that have credibility, to be able to push back against violent ideology. Q: Ambassador Pandith, Aziz Haniffa, editor of India Abroad. Good to see you again. MS. PANDITH: Nice to see you, too. Q: As an extension of the previous question, in terms of countering the propaganda of the bad guys, you were recently in India. And that was your first trip to your birthplace after being appointed. And Indian officials used to proudly say that India, with its huge population of Muslims, had never been radicalized. The bad guys had never got to the huge Muslim community in India. But that has been changing and there are groups like al-Qaida, Lashkar-e-Taiba, which has become a worldwide phenomenon, which has made inroads into India. If you could speak to that, in terms of your trip to India, in terms of the people you met in India: the officials you met and also, maybe, the bloggers, the youth, et cetera. And part two of my question is, next week, the president is hosting a young entrepreneurs conference in Washington. And I find that a lot of the young entrepreneurs who are coming are Muslim. In fact, India has six reps, five of whom are Muslim. And is this, sort of, a propaganda effort by the U.S.? Like the U.S. of old, when you would get these guys, take them on a trip, you know, show them a good time around Washington, et cetera and then hope that they won’t turn out to be radical jihadis and they would love America after they go back? MS. PANDITH: Your first question was about my trip to India. And I had a great trip to India. I was very humbled to be able to go back. I was very warmly received and it meant a lot to me. I was in both Mumbai and in New Delhi. And in both places, I met predominantly with civil society. I did not have a lot of meetings with government officials. I met with women’s groups. I met with activists. I met with bloggers. I met with entrepreneurs. I met with a wide range of folks. I visited schools. I visited religious schools. I spoke at universities. I mean, you know, so I just sort of did the gamut. And it was terrific. A lot of really hard questions about what’s happening not just in India but, sort of, in the region. A lot of questions about, sort of, the future of young people, just generally. I found the Indian youth to be really connected, in terms of, well, responding to the secretary’s vision of 21st-century statecraft. They were really thrilled that she was using new media tools to connect. Many of them have connected with me on Facebook, on Twitter. They are thrilled about the fact that they have a voice in this conversation, but they’re also equally concerned that more and more external voices are coming forward and helping – to go to this gentleman’s question as well, an external, foreign ideology is coming in that’s impacting young people. The response that I’ve heard from many of the young people was that we need to do a better job of countering that narrative with a better narrative and of understanding that young people’s issues, whether they’re issues of identity, which is really a singularly important theme that I’ve heard across the world. How do you navigate being Muslim in 2010? What does it mean to be both Muslim and modern? What is the difference between culture and religion? Young people are asking these questions in a way that the generations before it didn’t ask. So young Muslims, in both Mumbai and in Delhi, were actually talking about those issues and I was very pleased to have that conversation. A lot of them had really great ideas about how they want to activate youth and make a difference. I met a group called Mesco (ph) in Mumbai that’s taking kids out of the slums and giving them an opportunity to be educated in new ways. And these kids are giving back to their communities, so there’s sort of a play-it-forward kind of aspect to it. More and more of these kinds of things you’re seeing across the board. And they’re indigenous and they’re organic and they make sense. Where can we, as the U.S. government, help, is to actually take those organic ideas and see where we can actually help lift them up. In many cases, I connected those ideas with either NGOs in other parts of the world, or American NGOs that are working on very similar projects, so that intellectually they can actually polish it and make the idea better, learn from past mistakes, learn from each other. So it was a great trip. And I very, very much enjoyed it. On your question about the entrepreneurship summit, and for those of you who don’t know, in the Cairo speech the president talked about the tool of entrepreneurship and using that as a frame for me to tell you that the entrepreneurship summit he laid out in the Cairo speech as something that he wanted to do. He wanted to bring young entrepreneurs from around the world to Washington to highlight the tool of entrepreneurship, that one person can make a difference. Whether you are a business entrepreneur, or you’re a social entrepreneur, or you’re an idea entrepreneur or you’re a technology entrepreneur, the idea that you can journey through that and actually develop something that has a high impact on the ground, that can add value, can build stronger communities, can add value on the economic side as well, for some of these entrepreneurs. It is an important message to send worldwide – I don’t care what faith you are – that you can be infected with this idea. You don’t have to wait for someone else to tell you to do something. If you look around and you see a playground that’s filled with litter, that you can figure out a program to actually pick up that litter off the ground, or in some cases – I just met an entrepreneur in Mauritania who came to the table to talk to me and said, you know: Look, Farah, I looked around and there were no after-school programs in Nouakchott. What are these kids doing? They’re hanging around, doing nothing. I want to create a way to do this. So he created – he’s a social entrepreneur. I mean, it’s terrific to see that passion and that idealism and that dedication to building stronger communities. What the president is doing is taking all examples – not all of them – examples, from around the world, of lights of energy and passion and entrepreneurship and bringing them to Washington, so you can highlight the idea that one person can make a difference – to highlight the idea of what entrepreneurship means, to connect them with some of the best resources in America that actually have worked on entrepreneurship, whether they’re our universities, or our foundations, or our actual entrepreneurs that are going to be speaking to them, that they will be able to take their ideas and move them forward in new ways and to polish and to actually act as ambassadors for when they go back to their own country, to look to the generations behind them and say: You can do it, too. So the president is highlighting this in a really important way. And I think, as I said, no matter what faith you are, the idea of entrepreneurship is unbelievably important. And the takeaway for this is unprecedented. We don’t know what will come out of this. We don’t know what the connections will be. We know that a network will be built because that’s what happens when you put smart people together over the course of a few days. We don’t know when a new idea will come forward and somebody in that audience will have the seed money, or the foundation, or the business sector. There are people who are coming to this that are not the typical people that you see. They’re people that have been asked to come because we want to shake it up a bit. And the president will be speaking to them. The secretary of state will be speaking to them and several others in our government who will be able to inspire them. But importantly, they’ll be speaking to each other, too. So you’ll be able to highlight somebody like Naif Mutawa, who was a social entrepreneur who started a comic-book series called “The 99” because he looked around and he said: There are no role models for young kids, who are Muslim, who can talk about the values of Islam in a peaceful and respectful way. So he created this incredible comic – I mean, he’s coming. You have the young woman that I met in Oslo who’s coming, who is a second-generation Pakistani-Norwegian, who decided that she had had enough of being isolated and being told that she can never belong, but has actually activated a brand-new sort of Web site that’s helping to mentor, who’s bringing women up, who’s trying to get things out there. Those are two stories. There are 50 more. So it’s a really important thing, globally. People are talking about the tool of entrepreneurship, in a very big way, because the president has named it. And I think that’s really great. Q: Thank you very much. My name is Hedsafar Hashemi (sp), from Voice of America, Afghanistan Service. First of all, what can the U.S. government do, or is doing, to decrease the level of Islamophobia, or anti-Islam sentiments, in the United States and in the Western world? And second question: The Kandahar operation is coming up and this is the biggest operation after Marja. And the U.S. government, with its allies and the government of Afghanistan, are trying hard to win the hearts and finds of people. So what particular challenges do you have facing in Afghanistan and what are you doing? Thanks. MS. PANDITH: So on the issue of mutual interest and mutual respect and making sure that we understand the importance of diversity and giving respect to others, there’s a wide range of things that we are doing, all around the world. We have programs in which we are promoting pluralism by using people of all faiths to talk about – we’re doing workshops and trainings. We are advancing more and more opportunities for this. I talked about the idea of role models and the idea of people hearing from each other. There are lots of exchange programs that the State Department does and has been doing for decades, but we’re increasing the pace of those kinds of things, so that we’re having an opportunity to do that. We’re taking young Muslims who are active and interested in, sort of, singularly – I mean, they have spoken about issues that are happening within – and again, you can’t do a broad brush. It really depends on what part of the world we’re talking about on that very issue, being respected. Having a place in society, whether or not it’s a private-sector company that’s not hiring Muslims because there’s prejudice – whatever that, whatever the site of that, quote, “Islamophobia” piece impact is on a generation. We are actually going and talking about ways in which we can work through those issues, whether it is by elevating what the civil society groups are saying and doing on these issues, working with our embassies and promoting a cross-pollenization of NGOs that are working on them, or creating new programs that can actually make a difference. But the bottom line is education. I mean, it really is about education. And it’s not one-way; it’s two-way. So when you say – I mean, the president said mutual respect, mutual understanding. Where is that mutual? And being able to call people out on how we do this – I had an incredible group meeting in Sarajevo, recently, where I was talking to, probably, about 25 young activists who were talking. Think about the country of Bosnia and what it has gone through. And these young people were actually talking about this issue of respect for each other and how you create a new generation that can step away from the past and think about the future. And these are not small things. These are gigantic things. But the way in which we are able to elevate the conversation, the way we’re able to pinpoint tools to actually engage, depends on where in the world we are. So we’re doing it, but I mean, it really will depend on what places. I can specifically tell you that this issue of understanding and pluralism has been one of the most popular themes that young people are talking about. And they want to know more about how they can train the trainers, so to speak – to go into schools and to do programs like that. MS. PANDITH: Oh, I’m sorry. The second piece. So it’s a great question, but it’s not within my purview of how I’m – I haven’t been to Afghanistan. I haven’t been on the ground there, so I’m talking afar to you on this issue. So I’m not going to answer. Q: Thank you, Ambassador. My name is Padnit Singh (sp) and I’m an interested private citizen. You’ve talked a lot about how you’ve met youth who were blogging and things like that and expressing their concern and finding this to be a very productive dialogue. I wonder if you’ve run into any concerns from these same groups that you’re meeting with that you’ve chosen to engage a broad topic of Islam – U.S. engagement of Islam – and if they’re concerned that that’s become their identity in the United States’ eyes, as opposed to being young, sportsmen, et cetera, et cetera – like, any other number of identities that they could have. And if you’ve seen that concern, how has it been manifested? And the second question I have is, what’s then next step? After we build these communities, where do we go then? Thank you. MS. PANDITH: Thank you for the question. On the issue of identity, okay, it’s a loaded term. And you’re absolutely right when you tell me. Am I hearing from people that say, that’s not the only identity I have; it’s not the only way I define myself? And it is important that we respect that, that you don’t only look at somebody with a particular kind of lens, that this is, you are – we see you in this way and you’re only Muslim. But the issues that come about, in terms of the decrease in opportunities for dialogue on issues of what it means to be Muslim – we haven’t had those kinds of conversations before. And there are many communities that actually want to talk about what that means and how we’re interacting. And very importantly, to make sure that America understands that Islam is not a religion of violent extremism, that we do have respect for Islam, that they want to know how Muslims in America live, that they do want to understand all the specifics that go with that. And so this slice of how we talk about that issue is, of course, on their Muslim identity. And there are many, many, many, many other identities that these folks have. And we talk to them about other things too – whether it’s job creation or it’s education or it’s entrepreneurship or it’s activism or democracy – or whatever is – you know, civil rights – whatever it happens to be. We have mechanisms in which our embassies are actually interacting on those issues as well. So it’s not as though in a particular country, that is the only thing we’re talking about; it’s many things. But we haven’t had that conversation on this issue of what more we can be doing to make sure that we are both understanding each other and we’re being respectful of the ideas. In terms of the next steps, this is a long-term effort. There is not going to be a switch that is turned and everything is rosy in the world. We understand that. but if we are able to see things that are being planted in places that no one ever thought about, if we’re able to lift up ideas of the amazing people that are doing things around the world and actually can activate change in local ways, if we’re able to get a sense – a better sense – of the kinds of concerns that are happening on the ground, we’re doing a lot right now and over the long term, you will be building relationships. You do not want to get to know someone in a time of crisis. You want to know them in a time of non-crisis. And relationships take time. It takes generations to get to know folks. This youth generation has to have as many bridges open to them for dialogue with our country and we need to be able to create those spaces that are comfortable and are many so that no matter which way we are communicating, the doors of communication are open. Q: Madame Ambassador, Eric Fusfield with B’nai B’rith International. Thank you for your very thoughtful remarks. I’m interested in hearing about how your responsibilities relate to another priority of the Obama administration which is the Middle East peace process. And on this point, the president’s Cairo speech is very relevant because he gave a historical overview in which he said the Holocaust happened, it was a tragedy, the Jews were given a state in the region. And that language just seemed to reinforce the prevailing view in the Muslim world that Israel is a Western import, it’s a consolation prize for the Holocaust; don’t blame us for that, don’t put it in our region. And in addition to the mutual concessions that Israelis and Palestinians will have to make with each other, it seems that the long-term success of the peace process also depends in part on the populations in the Arab and Muslim world acclimating themselves to the reality that at the end of the peace process, there will be Palestinian state, there will be a Jewish state of Israel and it will be permanent and that it has ancient roots in the region, and it is and will be part of the landscape of the Middle East. MS. PANDITH: You know, in every single conversation I’ve had around the world, the issue of Middle East peace has come up, of course, in every single venue I’ve gone to whether it is an NGO that I speak to or it’s in a university setting. People are concerned and they see the cost of human suffering every single day, as do I. We all do. No matter what faith you are, you’re seeing it. And everybody is looking forward to a time when that is not happening. We are doing many things at the Department of State. We are on track. The president has been very clear from the moment he became president and even before as he was running that this was going to be a priority for him. He, within his first week of office, put Sen. Mitchell as special envoy to the Middle East, who is working diligently and working very hard. For those of you who have not heard the secretary’s speech in Doha in which she talks in a very clear way about this process; that she and the president and Sen. Mitchell are disappointed at the pace but that they are absolutely committed to the goal. All of this is taking place at the same time that we are doing a lot of other things that are engaging communities. So I do talk to young people about this issue and I do know their concerns and I understand their concerns and they’re there. They’re right there front and center. But I also know that they want to do other things as well. While they have demonstrated their concern for this issue, they’re interested in education, they’re interested in entrepreneurship, they’re interested in finding ways to be civic activists, they’re interested in getting their ideas going forward, they’re interested in connecting with different networks around the world. And I think we can do two things at the same time. As important as that issue is, Sen. Mitchell is working on it. Others in the Department of State, whether it’s me on this issue or Elizabeth Bagley on public/private partnerships or Melanne Verveer on women’s empowerment – I could go on and on and on – we are engaging to do other things as well to make these communities stronger. MR. NAWAZ: At the back, please. Q: Thank you very much. I’m – (inaudible). I work for VOA Pashto to the border-region service. We broadcast to the border-region area, Northwest Frontier Province, which has got the Khyber-Pakhtunkhwa and also in the Eastern Afghanistan. My question is – the first one, what has been your biggest challenge while reaching out to the Muslim communities, particularly youth? 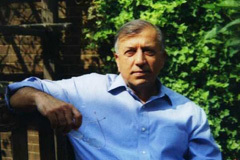 And secondly, if you could elaborate on if you have any priorities or focus on regions like as going back to the question of competition with the bad guys, there are some vulnerable groups – and I’m sure Shuja is aware of – that, like, in Southern Punjab and the Northwest Pakistan, the tribal areas, and Eastern Afghanistan. Thank you very much. MS. PANDITH: Thank you very much for the question. The biggest challenge – you know, I think that this is a brand-new approach and I think people are trying to be as creative as they can in terms of ways in which they can utilize the hand that’s been extended in sort of dialogue. And I want to do that in a way that makes sense for the locality, for the culture to be respectful, not to impose our ideas on anyone but to actually take the time to listen. And that listening piece requires us to be on the ground listening. So I can’t be two places at one time and I’ve been traveling a lot, so for me, I want to spend more and more time on the ground. What we are trying to do and we have done successfully is partner obviously with our embassies on the ground to find ways that there’s consistent dialogue that’s going on that’s not just a one-off – you go, you visit with these people, you leave – but that you’re actually building that partnership on the ground. All of our embassies are engaged in this effort and we’re trying to do that. With the regard to priority areas, as I said when I started and I gave my speech, we are engaging across the world. We are putting Muslim engagement front and center. You are correct when you say that there are very vulnerable areas to specific things. And certainly, the region of the world that you’re talking about there’s a lot going on in that region. Ambassador Holbrooke’s team is working very hard on that part of the world. And there are other parts of the world that we are seeing opportunities for, for partnership. And we are hoping to sort of do more. You cannot – let me just back up for a second. If you only look at a community in terms of what’s vulnerable and what is a crisis, you miss an opportunity to connect and build partnerships with those people who have extended their hand as well. And so our embassies have to be able to do engagement not just because there’s a crisis and things are on first but because there’s an opportunity there for a growing population to get to know each other. How important is it for us to get to know the Muslim communities in Sweden? Very important. It’s very important, too, for us to get to know Muslim communities in São Paulo. I mean, it is not just because you are in crisis is the reason we’re going to get to know you and we want to partner with you. So we have to be dignified and respectful of that. And at the same time, I do understand the urgency of what you’re talking about. And in that particular area, as you know, Ambassador Holbrooke is working. Yes, thank you. Q: Hi, I’m Christy Bonner (sp) from the U.S. Commission for International Religious Freedom. I’m just wondering, during your various visits and meetings with NGOs and individuals, to what extent have you gleaned that religious freedom and interfaith dialogue is a priority in certain communities that you visited on a local level especially in the context of Muslim engagement? MS. PANDITH: Well, people always talk about the importance of dialogue, any kind of dialogue; that the first, most important thing – are you creating the spaces for dialogue, are you doing it in a safe way for people to be able to share ideas even if you have a difference of opinion? The issue of freedom of faith comes up a lot in the context of how Islam is practiced in America. A lot of the communities in which I’ve talked to don’t understand that the constitution provides the civil rights and civil liberties to every American no matter what their faith and what their creed and what their ethnicity is and so we talk a lot about that. Also in conversations, this issue of interfaith comes up. But you’d be surprised; a lot of the young people want interfaith dialogue, but they don’t only want it with the tools of religious leaders to be able to have that – so they want like a youth-to-youth peer interchange of different community leaders that are of different faiths. So it comes up a lot. It really does. MR. NAWAZ: Could you identify yourself, please? MS. PANDITH: Thank you for that question. It’s a very important one and it’s not just Americans who are Muslim that are interested in building bridges. So I want to say that first of all. I’m getting a lot of attention from both individuals and organizations in America that want to do more overseas and want to learn more about what I’m seeing on the ground. And I’m trying to do a lot more of that cross-pollination so that what I’m seeing is not in a vacuum and it’s only shared with the State Department, but in fact, the experiences that I’ve had are being shared with others. Towards that end, we’re doing several things. Certainly within – and these are programs that many of you are familiar with through the Department of State. There have been all kinds of exchanges in which regular Americans are going to different parts of the world and people from different parts of the world are coming here. But that’s been ongoing and that’s very important we’re continuing with that. For me in terms of what I see and how I can act, I’ve been having wisdom sessions is what I’m calling them with what I call really a diverse group of leaders who have networks that can take the information that I get and move them forward. We’ve just begun this process. We had a wisdom session – actually Shuja was in one of them – with thought leaders here in the D.C. area and actually in other parts of the country who came to the table to hear what it is that I saw. I wanted to get their, quote, “wisdom” on how to do what I’m supposed to be doing better. I’m trying to be as transparent as I can in terms of what I’m doing, which is why I’m placing everything that I see and do on Twitter, on Facebook, that I’m trying to be not stovepiped about how I do things that I only tell the secretary that nobody else in the interagency understands. I want to be able to share those stories. And also American Muslims, I had a wisdom session in which I brought a wide range of American Muslims to the table and said, this is what I’ve been seeing and this is what I’ve been hearing. Do you have ideas? Many of them had great ideas that I never would have thought about, but they thought about how we want to do this. We’re going to do a lot more of these wisdom sessions that are taking place. And I think that that opportunity for Americans no matter what faith to understand where they can add value overseas is a piece that is consistent with me. And I’m actually trying right now to figure out ways that I can sort of kiva-style marry some ideas with, hey, you want to do something; here’s what you do. And we can make that happen. But there are a lot of things in the pipeline like that and I’m hoping over the next six months, the next time you invite me to the Atlantic Council, I’ll be able to tell you a few of the projects that we’re working on. MR. NAWAZ: We’ll be ready to do that. If I could just ride on that question because that was one that was rattling around in my tiny brain, you’re basically ambassador to the Muslim communities, but in many ways, you also have to deal with the issue of communities within the U.S. And very specifically when I looked at competing poll data – the Al-Jazeera/Gallup Pakistan poll that showed that 59 percent of polled in Pakistan thought that the United States was their biggest threat compared to 18 percent that thought India was their biggest threat. And then you have the Pew Global Attitudes survey which indicates that half the Americans when you poll them about their views of other countries, only 16 percent of them had a positive view of Pakistan. So what about the ones that don’t – the 84 percent? Is there some effort being made within the U.S. government to help people understand why you’re engaging with the Muslim communities? MS. PANDITH: Sure. And that’s a really critical thing that we have to do. Look, the secretary has made it very clear that the diaspora communities of a wide range of diaspora communities are really important. And they’re effective tools in the whole piece in terms of diplomacy. How do we engage with them? What can we do? How do hear their ideas? And there are many things that are going on at the Department of State right now in which we’re trying to engage those communities. You certainly know what’s happening with the Pakistani community here in the United States, but there are others as well. This idea of education – of educating the other. There are many tools that we can use to actually get the stories that we hear out overseas into the American households, whether – and the biggest way is certainly on the Internet. And we’re trying to do more to think about how we share the stories overseas with American audiences here and because, of course, we’re talking about the Web, it’s not just American audiences; it’s anybody else. MR. NAWAZ: Thank you. Did you have a question, Tom? Q: Thank you very much. Ambassador Pandith, I’m Tom Trimble with Science Applications International Corporation. There’s more than enough unemployment to go around the world right now, but it does seem to be disproportionately high in percentage of young people and particularly young men in Muslim-majority countries. And I wonder if your portfolio, if your mandate – which you certainly do passionately tell of – for engagement and understanding and maintaining lines of communication with Muslims worldwide and Muslim communities – does it also include actually helping with, either explicitly or implicitly, helping with the education and economic development issues? And I guess a part two is, if it does, how are you communicating with and coordinating with the World Bank for microloans and other countries that are engaged in similar activities? MS. PANDITH: Well, we are very lucky because the Department of State has many different branches to it that work on a wide range of issues including the one that you’re talking about. And there are many programs at State. This office is not an island somewhere in the State Department that’s doing its own thing by itself. I work very closely with all of the assistant secretaries for all the regions, work very closely with the team at the Middle East Partnership Initiative, who are working very specifically on some of the things that you’re talking about. But also different parts of State that actually think about economic empowerment. It isn’t that one place needs to do it and another can’t do it. We have to work together, so when you share what you’re seeing on the ground, there are mechanism within State that are already there that are doing that and certainly they exist. Q: Rabi Khana (sp), VOA Television. When President Obama made the speech in Cairo, there was a huge hope that it’s going to be making a huge difference, but we did see in fact in some Muslim countries, anti-Americanism has gone up. In your travel to so many countries, what did you find? What was the impact of his speech and if it was not enough, why? MS. PANDITH: You know, this speech was unprecedented. It was unprecedented. And I think you even have to go beyond the speech. You have to start with his inauguration day. Where he in his inauguration address spoke to Muslims around the world and extended his hand in partnership. That had never been done in U.S. history. Okay? Couple months later, he goes to Turkey and he speaks in Ankara and again, talks about these themes of engagement and mutual interest and mutual respect. And certainly in his speech in Cairo, he gave a very eloquent speech about his desire, his vision for engagement worldwide based on a foundation of mutual interest and mutual respect. And in each place, the tone has changed. The ideas have changed. The power and the interest in Muslim engagement has changed. Critical, absolutely critical. A sea change from anything else that has happened before. So fundamentally, that is the first thing out of the gate. This tone change, this lexicon change, how he talks to and with Muslims – you can hear it in his voice. You can hear it in the way in which he speaks, the dignity, the respect that he gives to Muslims around the world. That’s the first part. Secondly, the things that he laid out in Cairo – lots of things that he laid out, things that he wanted to do – there were very specific deliverables, but there were also larger issues that he wanted to work on. On the actual deliverables in Cairo, whether we’re talking about the entrepreneurship summit or we’re talking about the fact that science and technology are a critical thing that the president has wanted to expand into. He has named three envoys to – science technology envoys – that are working on issues that interface with Muslim communities around the world. He talked about the role of education and he talked about connecting a kid in Kansas with a kid in Cairo. The interagency is working on this. By him making it a priority, every part of the interagency is actually working on his priority of Muslim engagement. And so never before, you have an unprecedented machine that is thinking about how to do this. Each one of his deliverables in Cairo, there are teams that are working on getting them done – whether it’s the science envoys or the entrepreneurship summit or the education piece or the eradication of polio – you could keep going down that list of 16 things that he specifically said. In addition to that, he talked about wanting to do more on very specific foreign policy issues. And again, the president has made things a priority. He talked about Iraq. He talked about Afghanistan. He talked about the prisoners in Guantanamo Bay. He’s working on those issues and they are a priority for him as he’s named an envoy for the Guantanamo Bay – he’s – I mean, do you see? I mean, there is movement happening. And not even a year past Cairo, the mechanisms and the movement of this government have never been done before. And you’re seeing action on the ground. When you talk to Muslims – for me, the impact that I’ve seen on the ground – they’re unbelievably moved by the tone shift. They want to see more action and movement as this gentleman talked about on the Middle East peace issue. That’s a priority and they want to see action. You cannot force people to negotiate. You are seeing a movement, as the secretary said, they’re disappointed at the pace, but you cannot fault the commitment of the president of moving it forward. The idea of science and technology – that we’re trying to share more – has resonated very well as well. And seriously, going back to this question of the entrepreneurship summit, the idea that the president is putting this tool of entrepreneurship forward has really set a lot of people free because they know that they don’t need the okay of a government or somebody else to tell them that their idea can actually happen, but that they can actually make it happen and that the president highlighted this has been very important. Also, absolutely across the board, the gleam – and I’m going to sound like Pollyanna when I say this, okay? – the gleam in people’s eyes when I talk about that we respect the diversity of Islam, that we understand about Islam in Africa, that we understand the rich heritage of tolerance and respect that Africa comes to bear or East Asia for the matter or the subcontinent for that matter or when I was in Central Asia – that we’re not only isolating a particular kind of Muslim and saying, this is a good one and this is a bad one but rather that we give respect to all. That is unbelievably important and it has affected the young generation in ways that are really real. I mean, I can feel that back and forth. It is not a perfect – we are in the process of dialogue. We are in the process of getting to know how we can do this in a better way, but we have started this effort and it’s important to remember not even a year past Cairo, a lot has been done. And as somebody who is watching this from the ground level and as somebody who is watching this from the government level, I am floored at the momentum that has taken place in this administration on this important topic. Q: (Inaudible) – back from the Muslim world. MS. PANDITH: It’s what I’m saying. It’s what I’m saying. You are see – and again, sir, some of these things are being seeded now in terms of the actual deliverables, but the idea that we are putting this as a priority and we’re moving it forward has had a lot of resonance. Absolutely. MR. NAWAZ: Could you please identify yourself? Q: Oh, I’m Alan Pizer (sp). I represent myself, just interested in all this. There’s a great diversity in regard to women’s rights throughout the Muslim world. In some areas, their rights are restricted and in some areas, they’re as free as we are. What are you doing to expand their rights as you go around the world and talk to groups and governments? MS. PANDITH: Well, I’m working very closely with Melanne Verveer, who is the ambassador-at-large for women’s affairs to the secretary. And she’s been – if you think I’ve been traveling a lot, Melanne has been traveling a lot as well to work with communities around the world on issues of greater transparency and rights and change on the ground. I am not coming to the table with preconceived notions of what needs to happen. We’re taking the time to listen to what folks want on the ground. And I think that’s very important because it really – this is not – it is not right for us to be able to come into a different community and to suggest that we know better on certain cultural things. But there are human rights issues where we have done a lot with the democracy, human rights and labor component of the State Department. We have been central to that. We’re continually – our commitment on these issues. So I am working on women’s issues – certainly that’s something as a female and as a Muslim are very important to me. But it really – to answer your question – it is dependent on where I’ve gone. For some communities, it’s having a chance to make sure that they have education. For other people, it’s understanding the difference between culture and religion in terms of what their particular environment requires as a Muslim. So it really – it differentiates. Q: Mohammed Kasim (sp), I’m a retired (expletive)-basher and what I got from you is a load of (expletive). You are a variation of Karen Hughes, making excuses, going around the world, we’re nice people, et cetera, et cetera. You don’t mention Iraq – slaughter is being committed by millions and you think that’s forgettable. You said the State Department’s going to do a lot of good work on their 20-foot (festoons ? ), you know, the walls that surround the embassy, second-rate people mostly. You say AID is a very good organization. Well, I was a schedule C appointee at AID for four years; I think it’s the most corrupt agency in the U.S. government. American aid is from 10 American pockets to one American pocket with a minimum of leakages – a bit like the World Bank, by the way. And also the idea of Muslim: When you talk to a Turk when he’s bashing up the Kurd, is that a Muslim affair? Or a Punjabi bashing a Baloch? It’s not that easy. The problem is we’re in for a long war. Al-Qaida is 1,000 people – is now, according to Gen. Jones, 100 in Pakistan. They are such a big menace to the United States? We have to understand, there’s a huge Islamophobia; the problem is here, not out there. Let the Muslims fight it out amongst themselves because 60 percent, 70 percent of the Protestant ministry think that Islam is a terrorist organization. You’ve got the – (inaudible), et cetera, et cetera. Stew on that. MS. PANDITH: Go ahead. That wasn’t a question; that was a statement. Go ahead. Q: Taha Gaya with the Pakistani American Leadership Center. To what extent do you kind of win those interagency debates? I’m sure, as someone who was formerly with the NSC maybe you carry some more weight on the defense side? MS. PANDITH: I’m sorry – say the first part of the question; I couldn’t hear – sorry. Q: – you know, discussions. Where, you know, as someone formerly from the NSC, you might carry more weight with the defense agencies? You know, for example, I’m sure when you met with the bloggers from Pakistan, I’m sure across the board they were saying these drone attacks are harmful to the U.S.-Pakistan relationship. And obviously maybe the State Department feels the same way. But when you go up against these things – you know, that’s where the question of kind of winning comes from. And then my second question is to what extent are you – do you feel that you’re properly resourced and properly heard in these circles – where, you know, like the gentlemen from Khyber-Pakhtunkhwa said, when you have 1.3 million refugees in Pakistan and the U.N. is saying, we don’t have enough funding to continue giving these people the support they need, you’re going to have organizations like Jama’at-ud-Da’wah, which is essentially a front for Lashkar-e-Taiba, waiting to fill that. So I mean, I feel like diplomacy and civic engagement and these things can go so far, but if you run up against these bigger things, people are going to say, thank you for coming to meet us, but as long as you continue these activities on the other side, our opinion is not going to change or we can’t do much about those things? MS. PANDITH: Well, your latter point about other players coming to the table is a really valid one. That’s what I was saying earlier. It can’t just be government that’s actually helping to effect change on the ground. It shouldn’t just be government; it should be all parties that are working together. And no amount of money in the world can actually turn a switch and fix everything overnight. It is really important, though, that we’re able to articulate the actual issues that are happening on the ground and what needs to be done. If you don’t articulate that, you can’t leverage foundations in the private sector and others to actually make change. And so I agree with you. I mean, more has to be done. In terms of resources from the U.S. government, I’m actually sure that as you think about the new way in which we are trying to be more proactive and out-of-the-box in terms of the initiatives that we’re seeding, that we are giving more strength to the people who have the ideas rather than creating new things from the outside, which are ideas that are already happening on the ground sometimes and some that actually require a little seed money but just need a lot more sort of intellectual capacity. Now, on your larger issue on sort of where can you quote, unquote, “win” what you’re seeing on the ground. It’s sort of a balancing act is what you’re getting at, I think, in terms of who wins out on the debate about what’s happening on the ground. It really depends on the circumstance and what you’re talking about. The importance is that everybody is in the room to be able to voice what is taking place. I mean, when I come back from different trips and I work with the NSC on what I’ve seen and what I’ve done, that impacts the way policy is made for sure. MR. NAWAZ: I know that we could probably continue this conversation for another couple of hours, but the ambassador is, I think, pretty fatigued from having traveled back because all of the air travel problems. And I’m very grateful that she took the time to come in spite of all the engagements that she had. And we would, of course, welcome the opportunity to have you come back and give us an update. MR. NAWAZ: I think in the end, if I may just say that the fact that there is a recognition on the part of the United States of the diversity of the Muslim world. So we are not creating a caricature as somehow conflating it all into one is a good thing. Probably the fact that the U.S. is engaging to create a kind of enabling environment is a good thing. MS. PANDITH: Thank you. Thank you, Shuja. 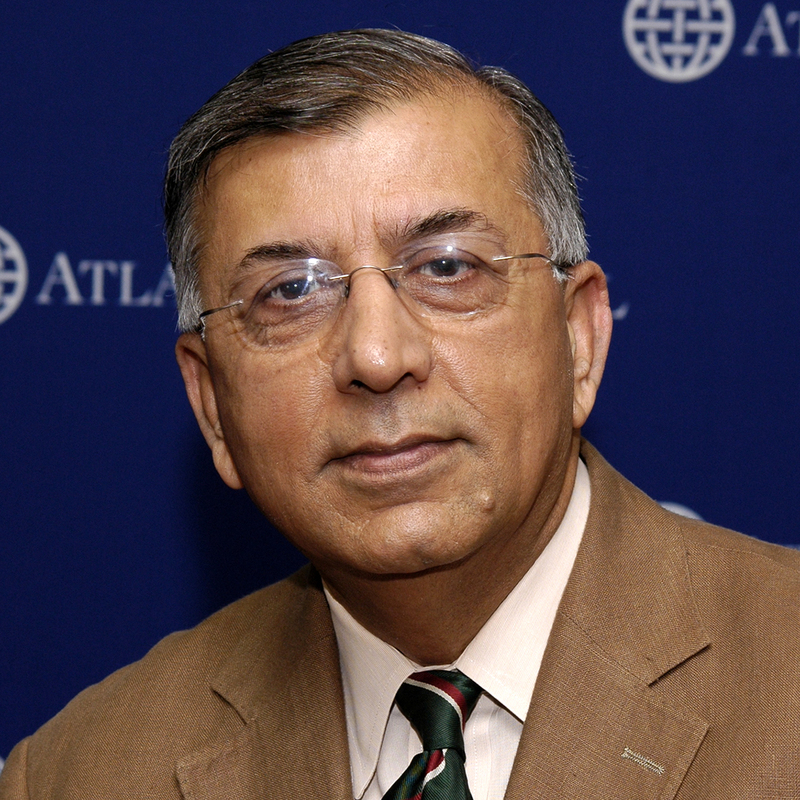 Shuja Nawaz, Director of the Atlantic Council’s South Asia Center, appeared on The Diane Rehm Show to discuss the role and effectiveness of stepped-up U.S. drone attacks and the progress of U.S. operations in Afghanistan. The audio is provided below.